This year’s surprise general election will fall on World Oceans Day. We have written to the political parties’ manifesto teams, on behalf of our supporters, calling on them to include a deposit return system. The manifestos will be announced in the coming weeks and will set each political party’s vision for the country until 2022. In the run up to this general election, SAS have been busy building momentum for deposit return systems with several significant milestones reached recently: Our petition calling for a deposit return system has collected 225,000 signatures in just three months. 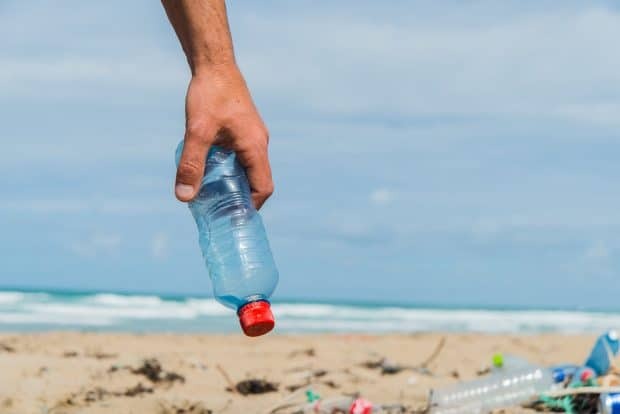 In recent weeks SAS CEO has met with Environment Minister Dr Therese Coffey to discuss deposit return systems and the threat our coastlines face from plastic pollution. Last month our Big Spring Beach Clean galvanized 17,000 supporters to remove 55 tonnes of litter, including 17,000 single-use plastic bottles that will be up-cycled by Ecover into new Ocean Plastic Bottle Project. In April we submitted evidence to the Environmental Audit Committee inquiry into plastic bottles and coffee cups and have worked on the National Litter Strategy and have been encouraged at the announcement the Government will seriously assess deposit return systems. This general election provides us with a fresh opportunity to encourage stronger commitments to deposit return systems. We are hopeful our political parties review the evidence, listen to the public, NGOs, charities and industry and make the brave step to include deposit return systems as one of their election promises. We will update you as the manifestos are published. Read our letter to the manifesto teams.